From 2008 to 2014, ETH Studio Basel, under the guidance of Roger Diener and Marcel Meili, investigated the process of urbanization taking place outside cities. Territory brings together the results of their research in six significant locations: the Nile Valley; Rome-Adria, Italy; the Florida hinterlands; the Red River Delta in Vietnam; northern Oman, and Belo Horizonte and Minas Gerais in Brazil. 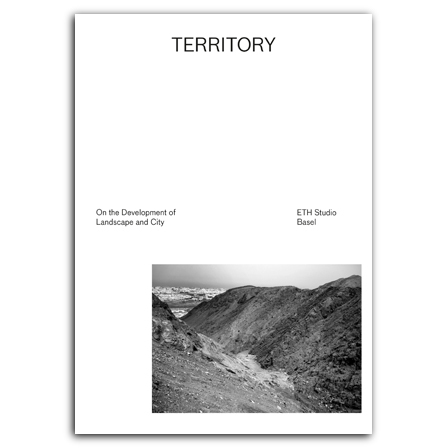 To describe the space surrounding cities, previously considered landscape, the contributors to this book use the term territory to denote both the surroundings that a city subsumes into its own structure and the core city itself, which is the center of this process of urbanization. And for each of the territories featured in the book, they investigate such key aspects of urbanization as water management, networks and infrastructure, agriculture, the role of mining and industrial production, and settlements. born 1980, studied architecture at the Royal Academy of Technology in Stockholm (KTH). Her diploma thesis on a sustainable development for a cultural heritage site in Fez, Morocco, was nominated for the OFFECCT-Student Award. She joined Studio Basel as a teaching assistant in 2012.
born 1979, studied architecture in Zurich and worked in architecture offices in Zurich and Tokyo. During his work at ETH Studio Basel he was involved in a variety of projects and publications dealing with urban phenomena in Switzerland and world-wide. In 2011, together with Michael Kunzle, he formed the office Gunz & Kunzle Architekten in Zurich. born 1985, she obtained her Master's degree from the University of Belgrade, and a Postgraduate degree from the Berlage Institute in Rotterdam. She is currently working on urban and architectural projects in Diener & Diener Architekten in Basel. born 1958, studied geography and sociology at the University of Zurich. In 2003, he received his Ph.D. from the Friedrich Schiller University in Jena. In 2009, Christian Schmid became Titular Professor at the ETH Zurich.